The New Year has arrived and with it comes the award shows. 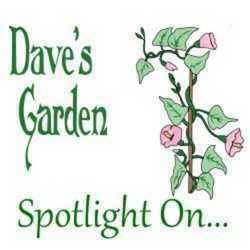 We have the Golden Globes, Oscars and Grammy Awards, but did you know that Dave?s Garden has awards too? Each New Year we announce the Top 5 companies in each Garden Watchdog category. The vendors anxiously await the results and a Top 5 badge is as coveted as any golden statue. 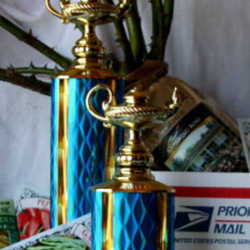 We?d like to take this time to honor the vendors that you, the customers voted as the very best. The Garden Watchdog Top 5 is an annual award and at the beginning of each new year we honor the winners by placing the Top 5 badge on their listings. Most of these vendors are often small, specialty operations owned by individuals who are passionate about their favorite plant, seed, or garden accessory. They may not enjoy the large volume of sales that is required to make it into the Top 30, but their great customer service and love for their product creates many loyal customers. The rankings are based on customer reviews for the past year, so these awards are for feedback posted in 2013. Please take a few minutes and study this list, these are the best in their speciality and they work hard to give good customer service. Many of them are smaller than the vendors that make up our Top 30, but are no less deserving. Each vendor's name is a link that will take you to their Garden Watchdog page where you can read the reviews that your gardening peers have posted. If you do not see your favorite company on this list, take a few minutes and post a review on their page. There were several categories that did not have five vendors with 2013 reviews, so we could not include that category in this Top 5 list. We have a number of countries and territories represented this year, Canada, Belgium, Spain and Puerto Rico all have favorite vendors in this list, so it is definitely an international group. This is one instance where every vote counts and we hope you'll remember that when your packages start arriving. A Piece of Paradise Plumerias & Candle Co. 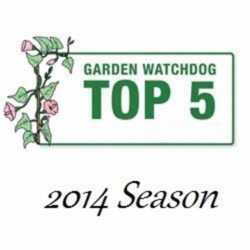 The Garden Watchdog Top 5 Awards for the 2014 Season The Garden Watchdog Top 5 Awards Announcing the Garden Watchdog Top 5 Awards!